Published: May 29, 2013, 7:26 a.m., Last updated: May 29, 2013, 8:24 a.m. The Advertising Standards Authority has given Solal an undertaking not to issue sanctions against them! The aim of SLAPP suits is to silence critics through legal action. These are often cost-effective because many critics will be stopped by a simple legal threat which they believe may cost them hundreds of thousands of rands. 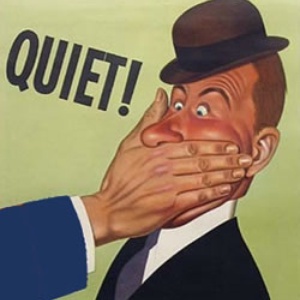 So, are SLAPP suits a concern to free speech in South Africa? Absolutely. In his judgement on the Wraypex vs Barnes, Arthur and Others case in the North Gauteng High Court, Judge Safire wrote: "The generally weak merits of the cases became obvious during the trial. The statements complained of were generally made to public officials mostly in the course of the administrative procedures. In some instances the allegations were trivial. Plaintiff’s counsel likened the case to what is known in other jurisdictions as SLAPP … No instances of cases so described are to be found in local law reports but the concept of vexatiousness corresponds very closely with the features of a SLAPP suit”. Judge Safire awarded costs against Wraypex, chiding them for “the belligerent tone of Plaintiff’s attorney’s letters which were calculated to intimidate and create enmity”. South African companies are not immune to attempting to silence their critics through expensive and protracted law suits, and no doubt many SLAPPees have succumbed to the intended fear, intimidation, and extraordinary costs of litigation. In South Africa, complaints claiming R100,000 or less in damages may be heard in the Magistrate’s court. These are far cheaper to defend, because an attorney may argue the case. It is needless to say that only a foolish SLAPPer would demand R100,000 if the intention is to strike fear in the defendant. The High Court requires representation by an advocate (around R15,000 per day) who may only be briefed by an attorney (around R8,000 per day). One day in High Court could cost around R75,000, if you include time for briefing, and all those letters and papers, and emails. And if you are unlucky to lose the case, and get handed the plaintiff’s costs on top of the damages award, that’s heading for half a million rands before you bat an eye-lid. It’s no wonder that SLAPP suits have been seen to be effective tools in the hands of the unscrupulous. I have been an active critic of Solal for about three years now, having reported a number of their advertisements to the Advertising Standards Authority. Solal responded in a belligerent fashion. In November 2011 I received a letter of demand from Fluxmans Attorneys, Solal’s lawyer, demanding R360,000. The absurd claim is that, by submitting complaints to the ASA, and not backing down on the requirement for proper substantiation of Solal’s advertising claims, and in not agreeing with Solal that the ASA’s Code of Advertising Practice is unconstitutional, I was colluding with the ASA and committing fraud and besmirching their good name. Weirdly, they are claiming the costs of the final appeal (which had yet to be heard) as some sort of justification for R150,000 of the demand. Since the letter of demand explicitly referenced the FAC appeal, I made sure that the ASA’s Final Appeal Committee was informed of the matter. Although that final appeal was eventually won by Solal in January 2012 on fairly technical grounds, Judge Mervyn King had this to say of their behaviour: "12.4. We agree with the Respondent's sporting reference to the Appellant playing the man and the referee instead of the ball. The Appellant's conduct is a matter deserving of serious comment”. This article gives a little more detail on my feelings in the matter. Solal have not pursued this demand any further. I wasn’t completely surprised to receive a summons to the Western Cape High Court from Solal Techonologies on 8 August 2012. Their claim is this: an article written by me, published on two websites http://www.quackdown.info/article/health-intelligence-magazine-it-marketing-or-education/ and http://www.camcheck.co.za/hi-magazine/ is defamatory because I claim they are promoting pseudoscience and that the images used to accompany the articles associate them with cigarette manufacturers who were plainly naughty, ergo the naughty rubs off on them, ergo I owe them R350,000 and I must ask the publishers of those websites to take the article down. They have not joined the publishers of the website (who, with editorial control, have the final responsibility for publishing) in this claim. One of the images (on the quackdown.info site) was not even seen by me before publication. They have not sought any alternative or intermediate measures. Instead they moved straight to a court summons. The demand amount, which they have not in any way justified, clearly turns this into a High Court matter. Does that sound like a SLAPP suit to you? Solal is a company and does not have feelings of hurt or shame such that it can be considered to be defamed. As a trading entity they cannot claim the right of human dignity under the Constitution – although this is apparently allowed in common law. As an individual, I have the right to freedom of expression which is protected under section 16 (1) (b) of the Constitution. Solal’s claiming general damages without even denying the truth of the statements in the article is a significant limitation on my free-speech rights to impart truth. The common law is therefore not in alignment with the Constitution – and there are provisions in the Constitution to develop common law. As this raises constitutional matters, a notice in terms of rule 16 A of the High court will be issued, which indicates that interested parties can involve themselves as ‘friends of the court’ should they want to involve themselves in the freedom of expression points that have been raised. That Exception was lodged on 20 September 2012. Since then the ball has firmly remained in Solal’s court. If they want to proceed with their claim of defamation they need to answer. They have chosen silence instead, a silence that speaks volumes of their true purpose. They were not interested in anything more than threatening me, and were probably quite surprised that I didn’t back down. This is the typical response of a bully: when their victim steps up to the plate, they are confused and back down. If they were truly feeling hurt they would be using their pre-tax revenue to press their case. The use of legal threats appears to have worked for Solal in another area though. Solal have also issued a suit against the Advertising Standards Authority. Now, the ASA appear to have stopped working on or responding to complaints issued against Solal. I have two issues involving Solal adverts, from over a year ago on which the ASA has ceased to respond. Others who have raised complaints against Solal have also had no response for many months. A source recently indicated that the ASA has given Solal an undertaking not to issue sanctions against them! Solal continue to advertise, and to make unsubstantiated claims in their advertisements. Without more details, a superficial understanding appears to suggest that the ASA have caved in to the fear of a legal threat. This is an abhorrent notion: that a company can make un-substantiated health claims and then using legal intimidation, silence critics and the only body that was able to provide a meaningful response. (The MCC has long since ceased to be any sort of regulator for complementary medicines). Consumer action is needed to bring this thuggish behaviour to light, and to show the likes of Solal that they will not succeed. I have a friend who was sued by them and ended up in Tara. If they're so scared of criticism of the legitimacy of their ridiculously expensive products, they need merely place the peer-reviewed articles demonstrating the research that supports their products. Strangely, they have not done this. I wonder why.